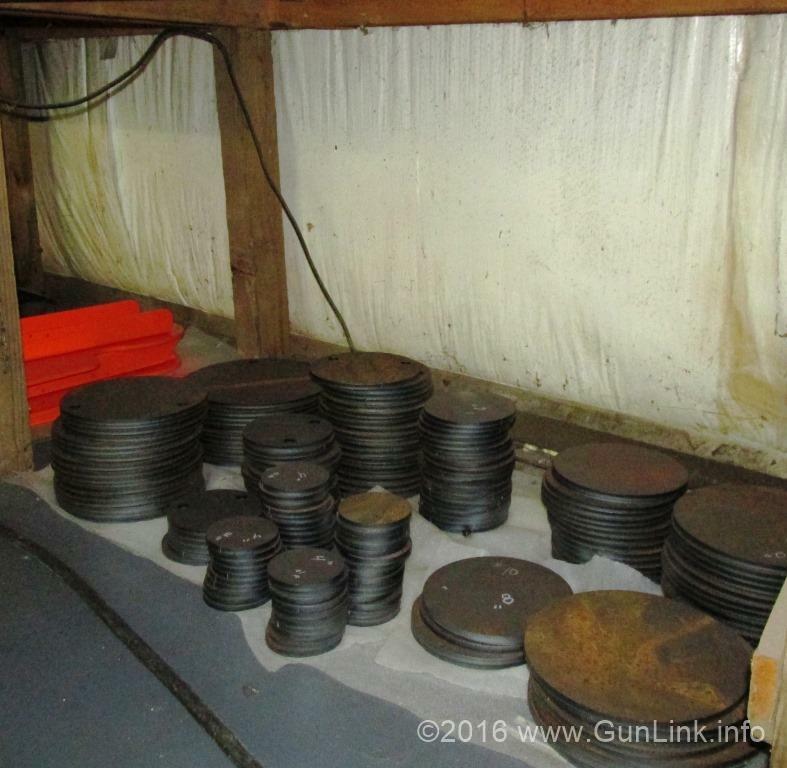 After a lively discussion on guns and politics, we got to take a look at the Shot Force production area, including stacks upon stacks of hardened steel plates, the plasma cutting table that transforms them from generic plates into their various shapes, and finished products – clad in brightly colored powder coating – waiting to be shipped out. 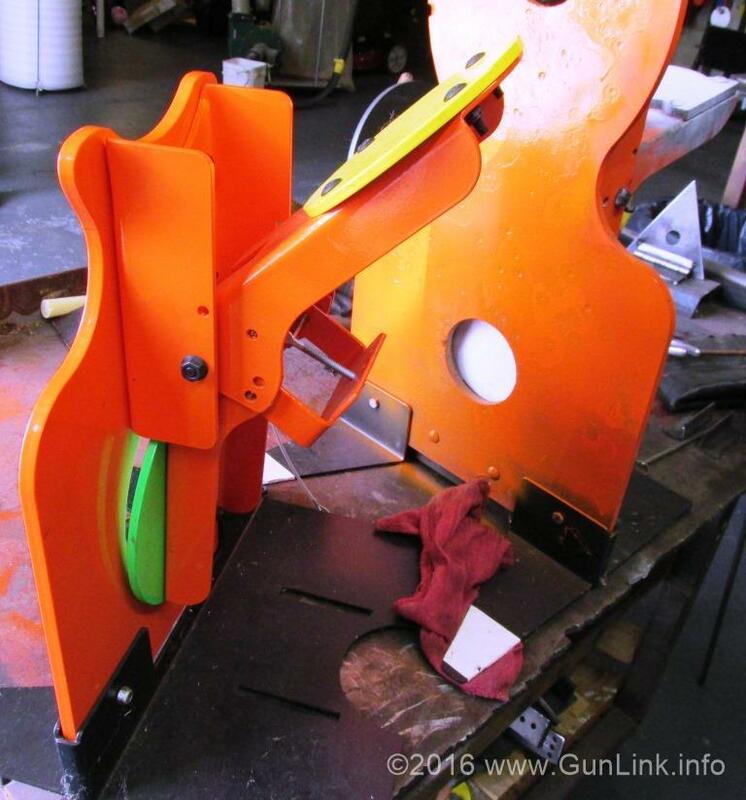 We got to see standard gongs, knock-down targets and their stands, the “walking” Grasshopper and Praying Mantis targets that resemble over-sized jacks, and the huge rimfire spinner tree dubbed The Metro. 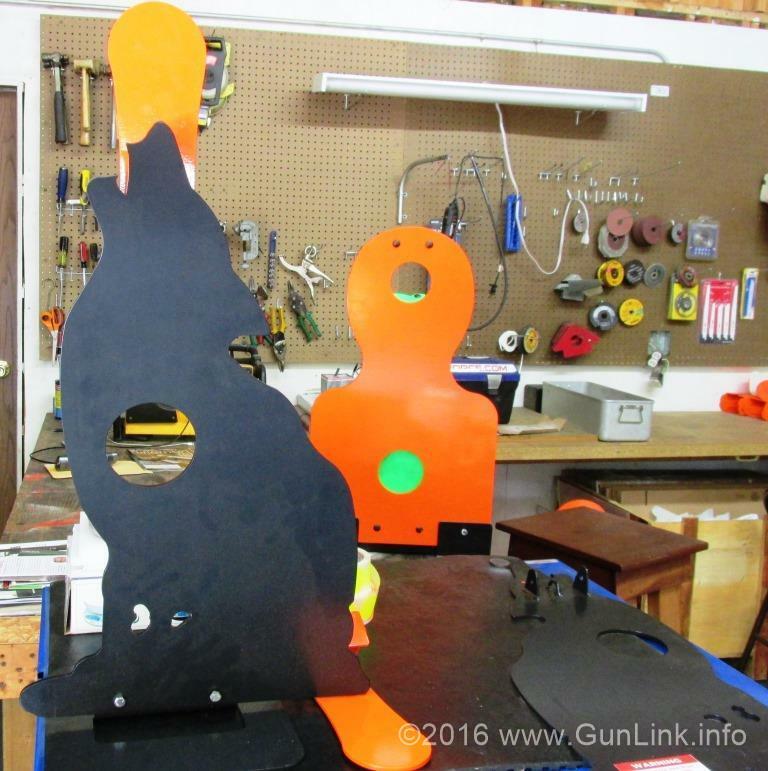 We also got to check out their resetting models which include The Huckleberry and The Vagabond in rifle rated AR500 and the Coyote and Bowling Pin models in AR400 in various phases of completion. 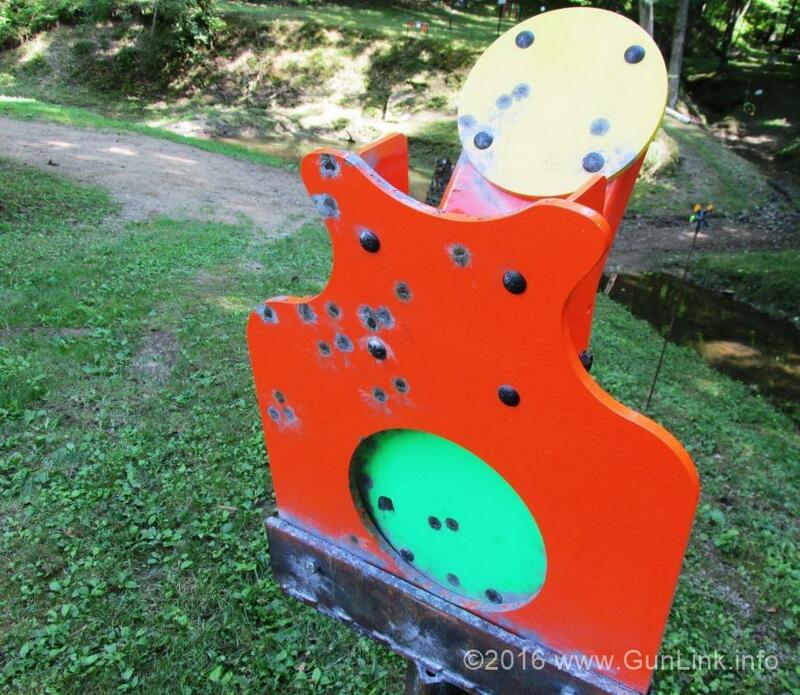 And then… we got to shoot them on the Shot-Force test range! Before going any further, we should insert a note about these oft-used terms that get thrown about, most commonly: AR500. What is it and what makes it so special? The moniker refers to the properties of the hardened steel that is frequently used for ballistic plates and steel targets. The AR stands for abrasion resistant, a property which begins with a high carbon content. 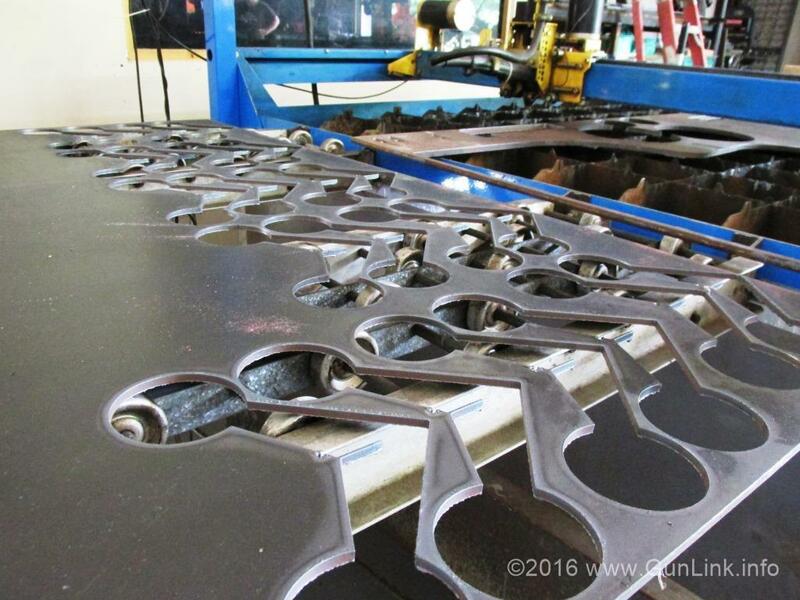 500 refers to the Brinell hardness value that is achieved through the heat treating process which the steel undergoes. For reference, pine wood typically has a Brinell value under two while Oak would be doing well to reach a value of five. Copper comes in at 35 while stainless steel has a value around 200. 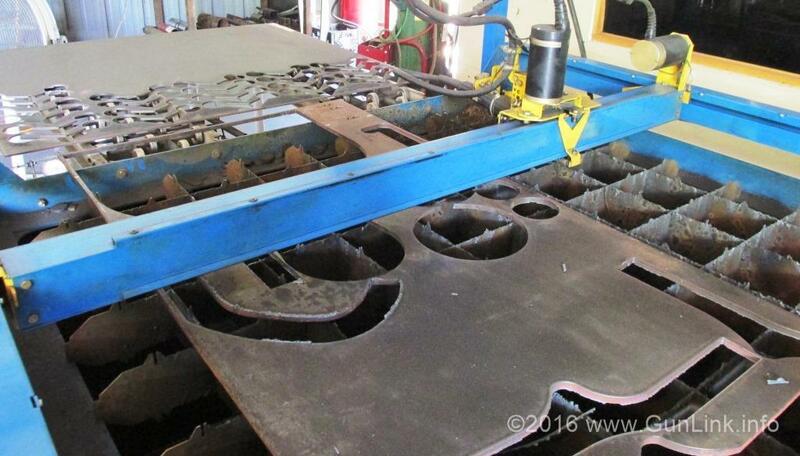 AR500 steel has a yield strength of 110 tons per square inch. 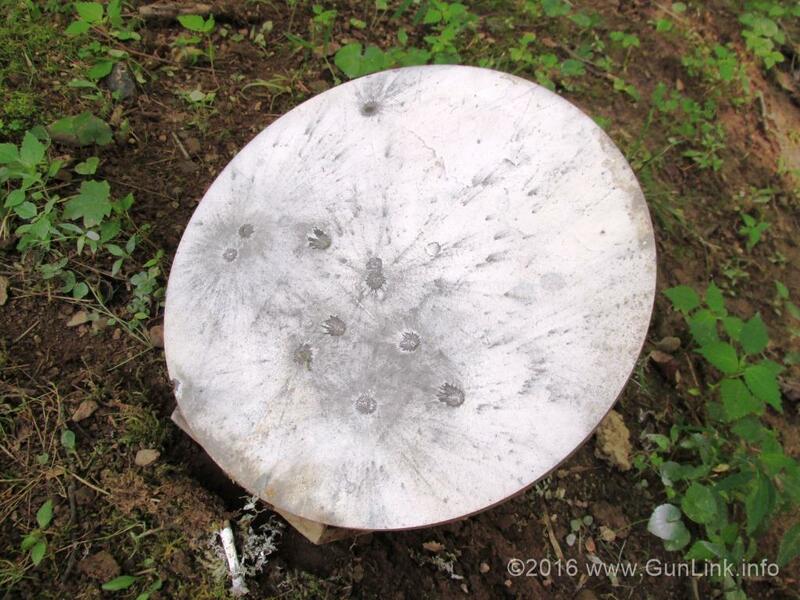 It’s pretty tough, and that toughness is key in the construction of steel targets to ensure that they do not deform from bullet impacts, which could cause them to become unsafe due to the possibility of ricochets. 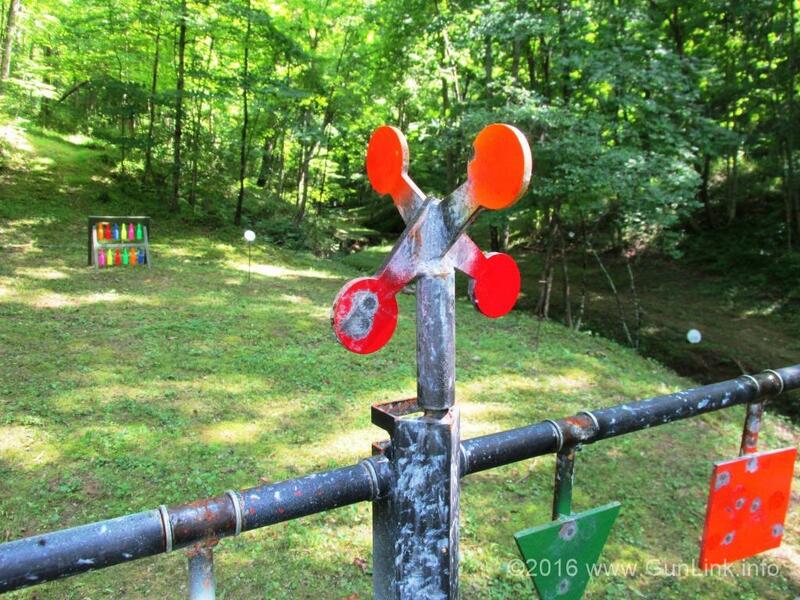 On the Shot-Force test range, we started off by ringing some of the AR500 steel with the suppressed GDFR. 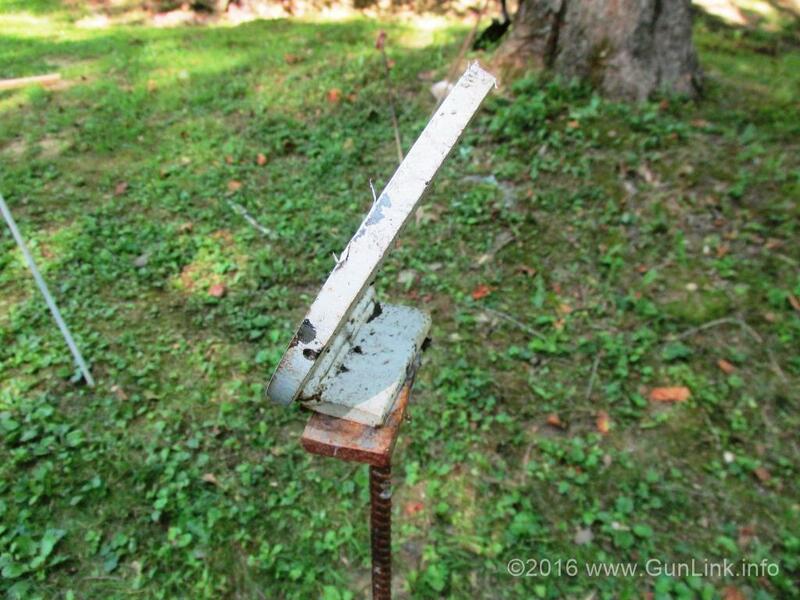 There is something incredibly satisfying about the pfft-thwack-CLANG sound of suppressed rounds hitting steel – almost as satisfying as the pinging and swinging of the 8-inch gong at the far end of the range telling us that we were on target in without having to walk back and forth in the humid triple-digit heat index of the mid-summer Ohio Valley. 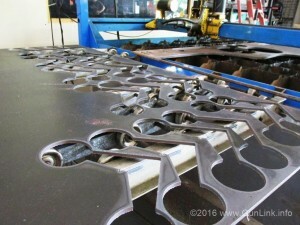 Chopping out circular and square shapes is not rocket science and, although they are as good or better as any you will find, it is true that Shot Force is not the only source of steel plates and gongs. 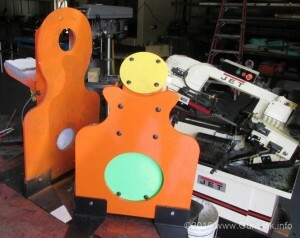 However, Steve’s innovation takes the company’s targets above and beyond the standard fare that you see at many ranges. 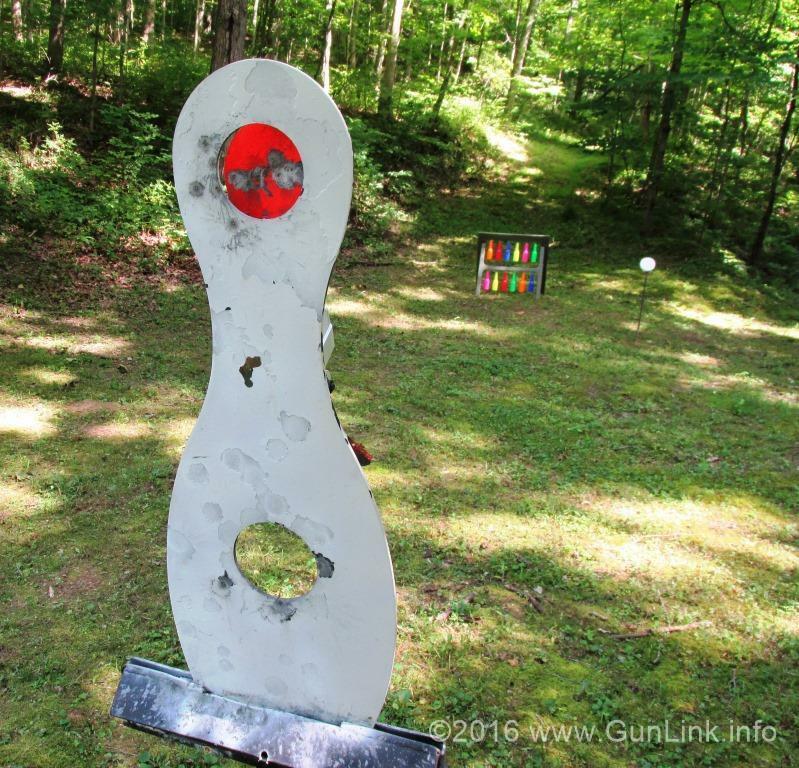 Steve, who comes from a family of avid shooters and law enforcement officers, started Shot-Force six years ago when he saw the opportunity to improve upon existing targets that were on the market at the time. Since then, he has been applying his skills and expertise to create new fun and reliable steel targets for a variety of applications. Most notable among the Shot-Force lineup are probably the resetting models, like the Zip Code model that we peppered with the AR. The basic design of the Zip Code is a standard silhouette with a hole in the center of the head and chest. Behind the silhouette is a pair of smaller AR500 plates mounted on each end of an angled swivel mechanism so that they show, one at a time, through the holes in the silhouette. 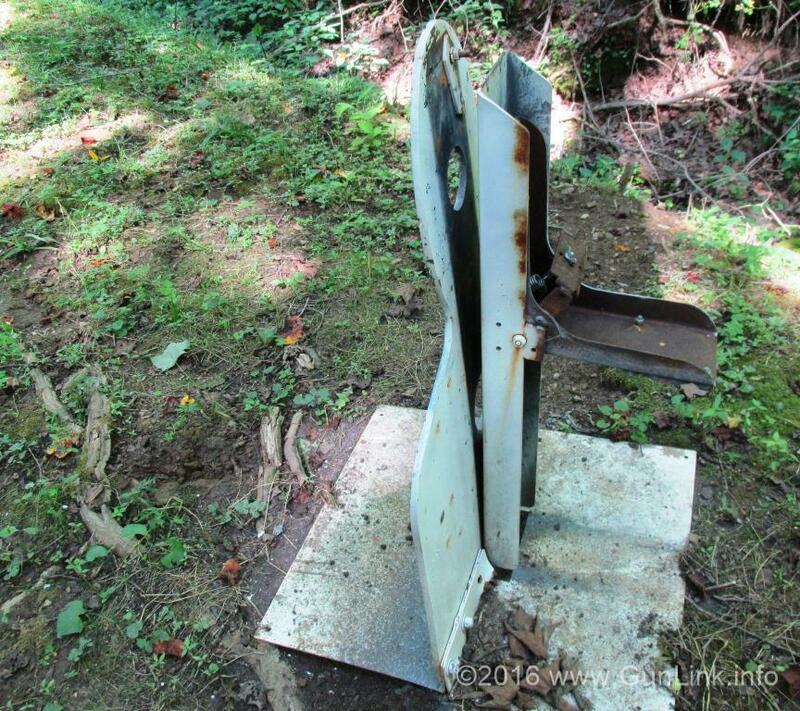 The see-saw-type arm is balanced perfectly so that hitting one small plate causes it to disappear and the other plate to appear with no bouncing back around. 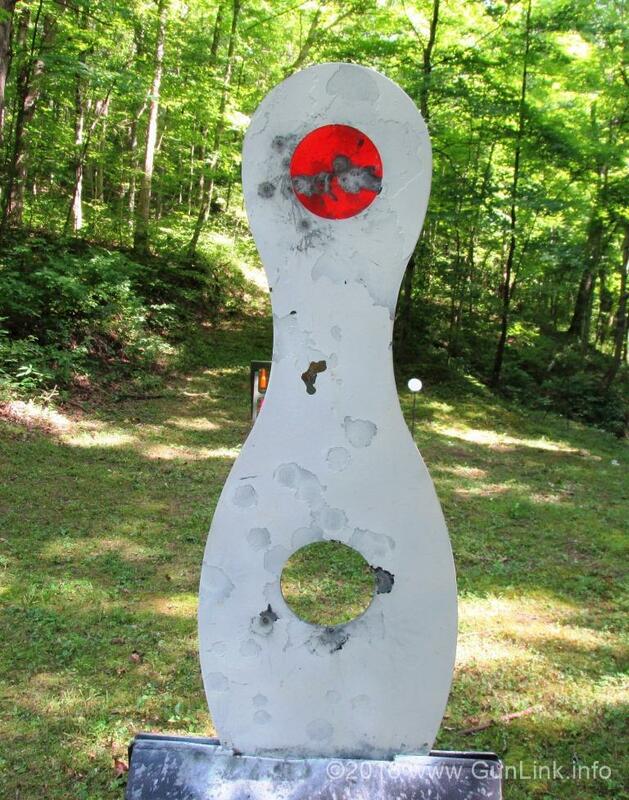 The resetting mechanism of the Zip Code target is similar to that of the Huckleberry target that we moved to next with the suppressed 9mm pistol and carbine. 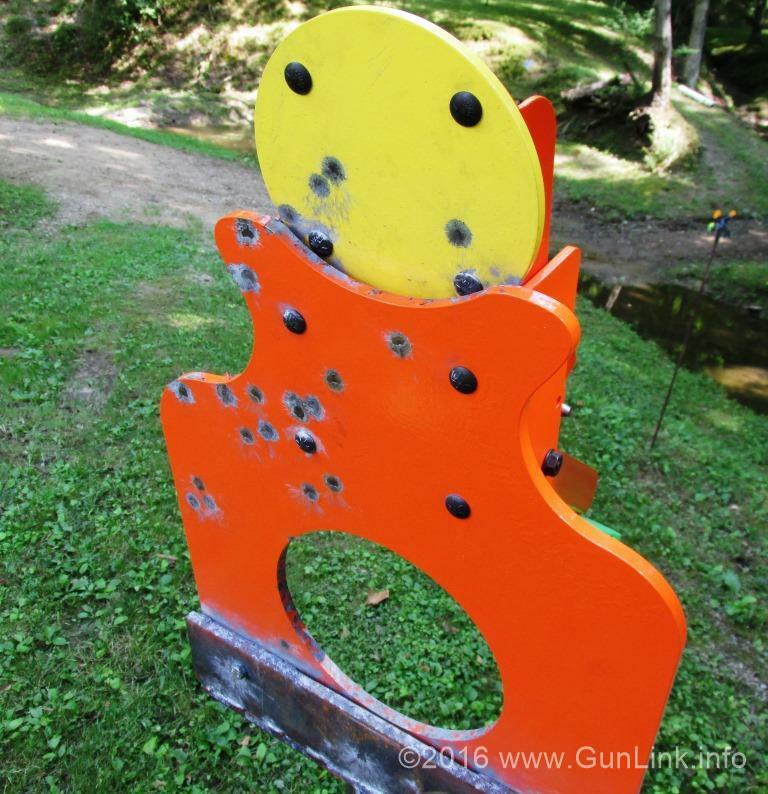 The swiveling plates of the Huckleberry are a bit more generous in size than those of the Zip Code, which is geared more for precision shooting. 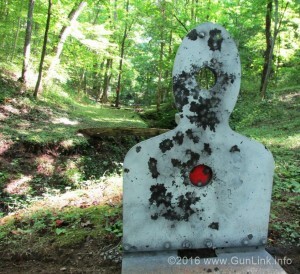 But just because we were shooting the Huckleberry at more typical self-defense distances with pistol caliber rounds doesn’t mean that this is all it is good for. 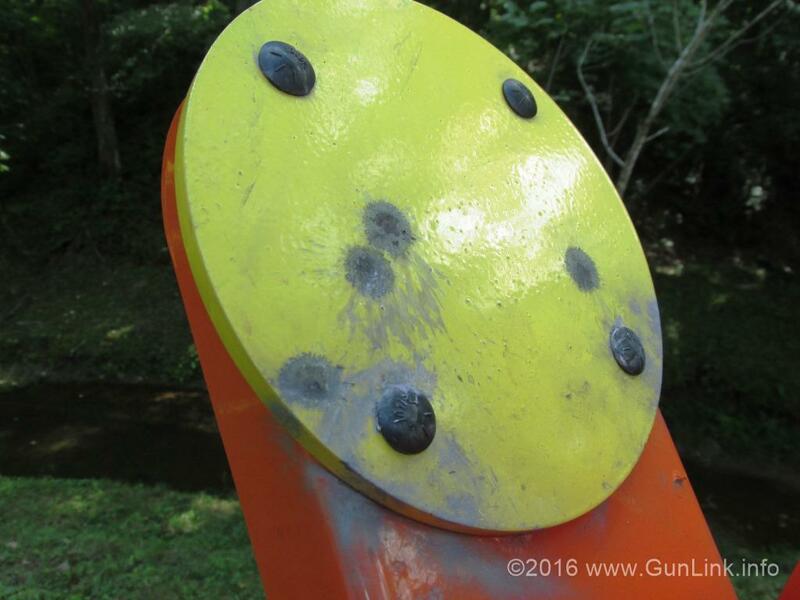 With a quick adjustment – accomplished by simply moving a pin to alter the angle of the swivel arm – the target can be changed to reliably reset with full-house centerfire rifle rounds instead of pistol rounds. Mechanically, the self-resetting targets are interesting and function exactly as advertised and it is fun to pop the paddles back and forth between the target apertures. However the targets also have the practical benefit of allowing the shooter to hone skills such as target acquisition and transitioning between multiple targets. 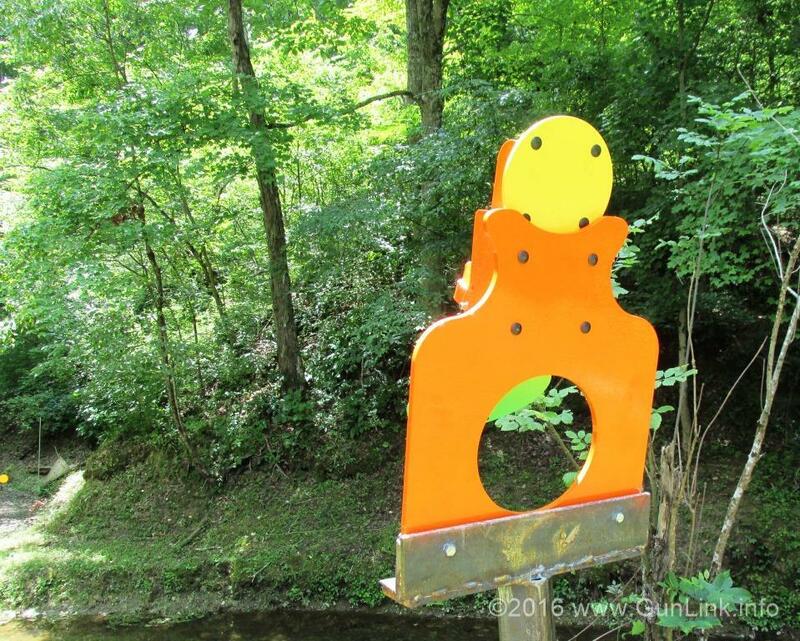 The resetting mechanism is not the only bit of well thought out engineering that has gone into the targets either. 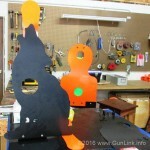 On a number of the resetting models, moving pins that transform them from pistol targets to rifle targets to a third position allow the target to fold flat – including the base – for easy, one-handed transport and smaller storage space. 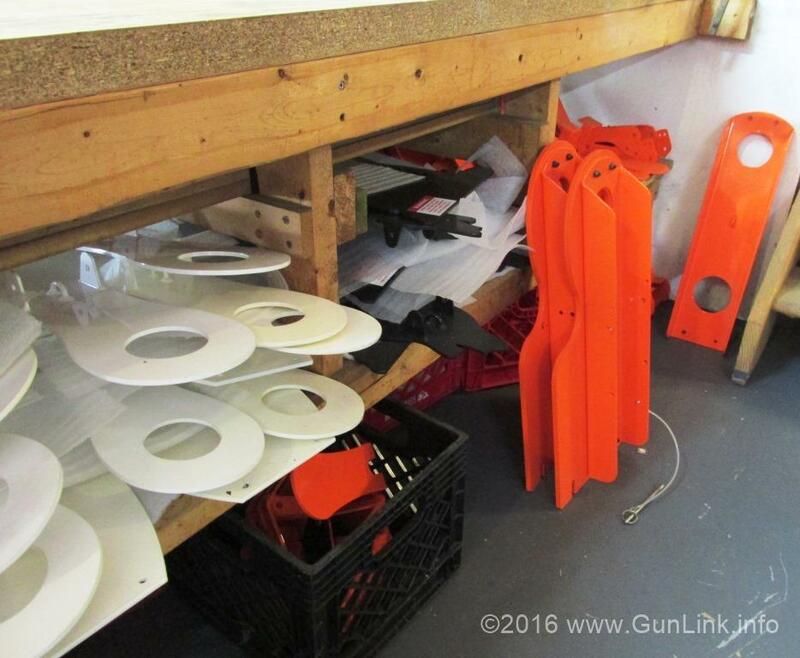 Without divulging any top secret classified information (despite the precedent set by a certain presidential candidate), I think we can spill the beans that one of the new targets in the R&D phase is a multi-row plate rack that resets each plate by shooting another plate. 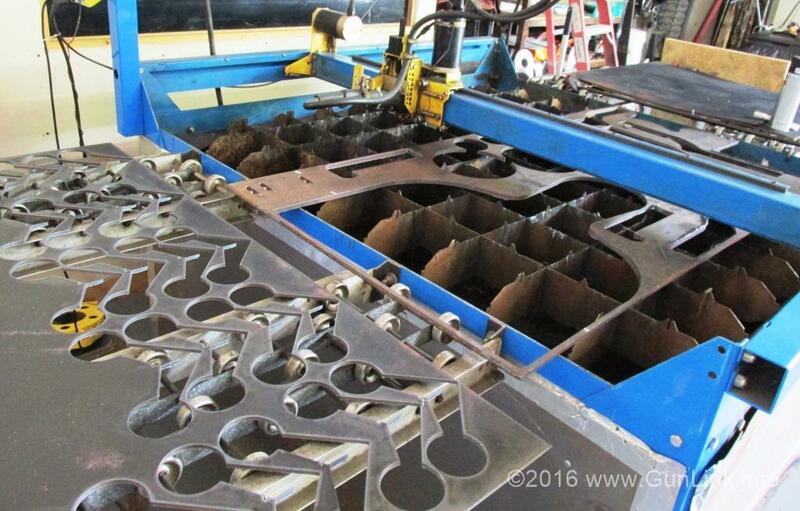 For simply practicing drills on plate racks, the reset mechanism definitely beats tugging a hundred pound of steel back into position with a rope or relying on powered motors to reset them. 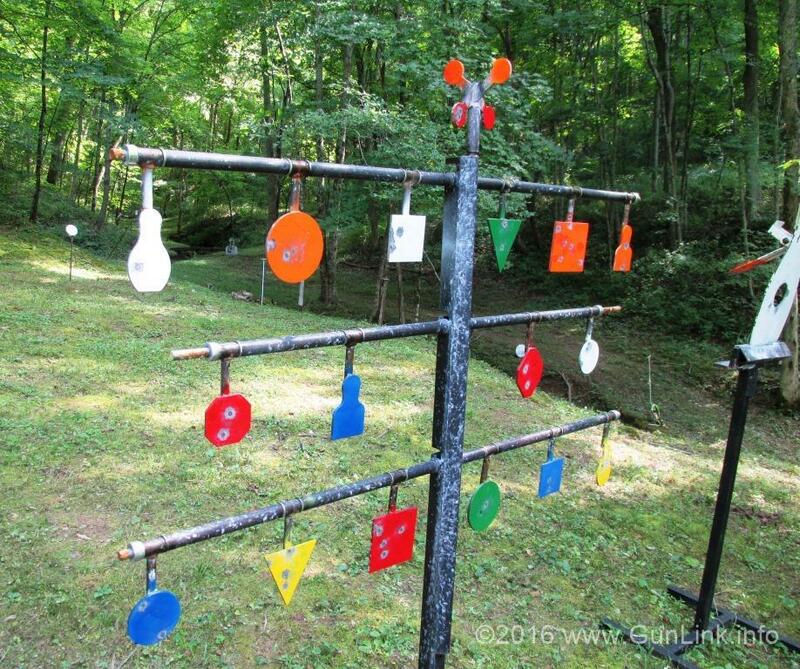 However, I can see the real benefit of this system, once it hits the market, to come in the form of practice for 3-gunners, shooting ranges, and competing with your shooting buddies – similar to a dueling tree but in plate rack form. 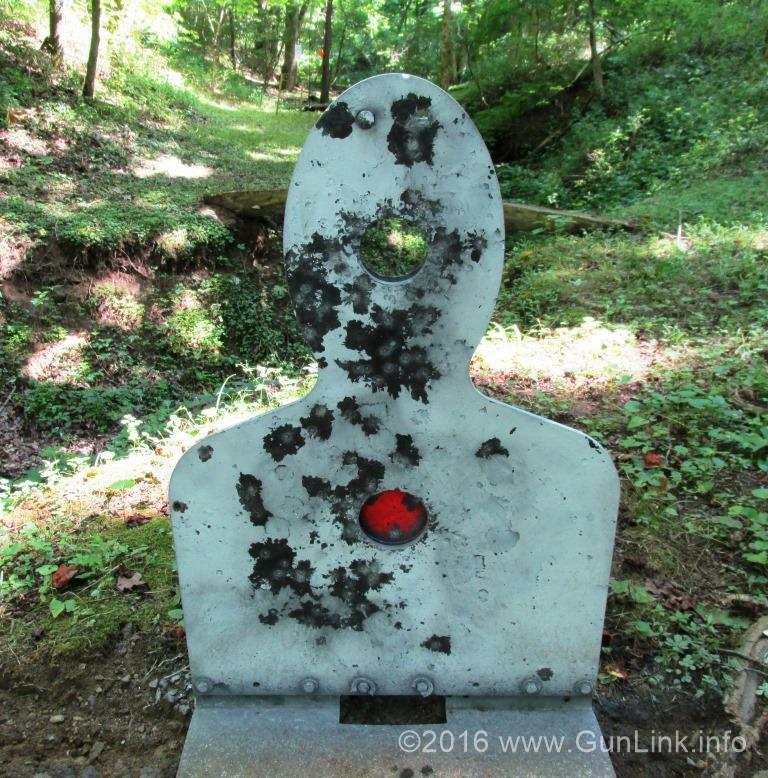 Serious shooting enthusiasts would probably agree that any day spent at the range beats a day spent doing… well, most other stuff. 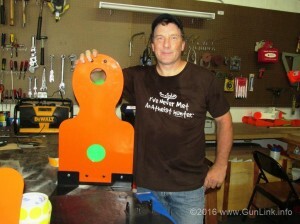 But the real fun came when Steve brought out his tack-driver 10/22 with the graphite bull barrel and we started nailing the AR400 targets. 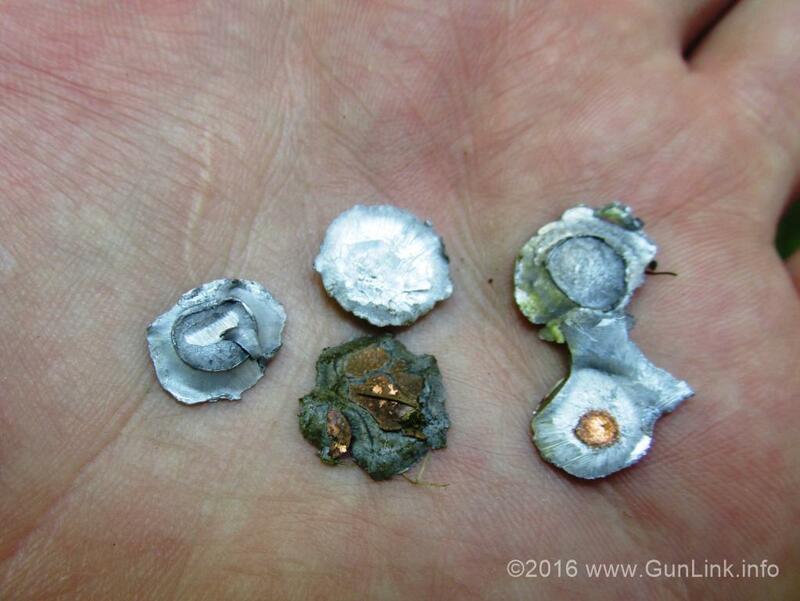 The lighter steel isn’t capable of handling hot centerfire rounds, but blasting away with the .22 brought back great memories of spending weekends at a nearby range burning through a brick or so (each!) 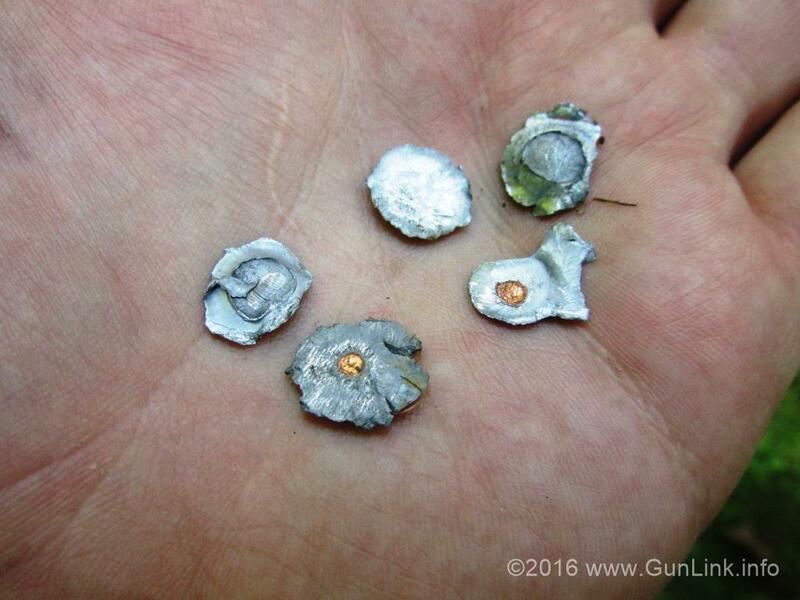 of the, then, readily available rimfire rounds. 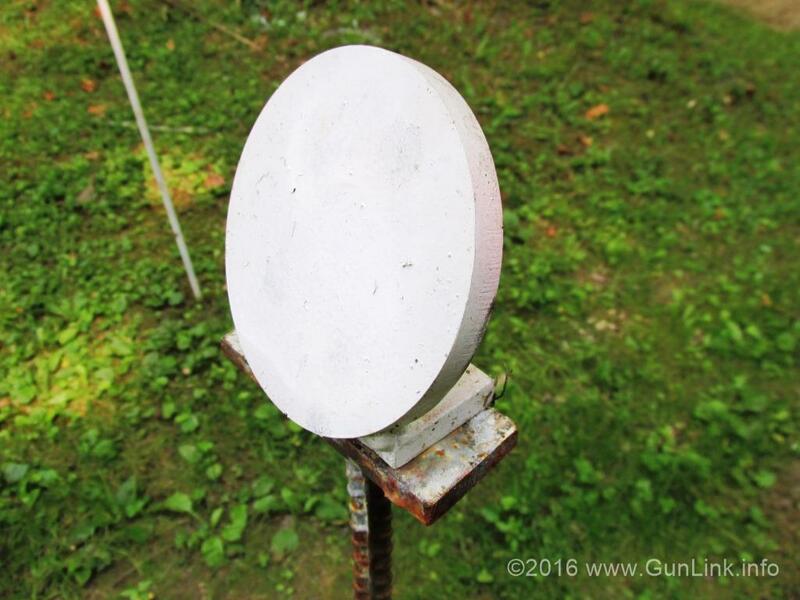 We got to shoot Shot-Force’s bowling pin target, which has a similar resetting mechanism to the others that has been tuned to function with the lighter .22 rounds, and kept the Metro plates and Praying Mantis spinning. Steve sent us home with part of his shelf full of Grasshoppers and both walking and spinning Praying Mantis targets (something that we are even more grateful for since our recent score of .22LR ammo at 5.5¢/round at Walmart – when was the last time you saw a shelf full of that stuff?). 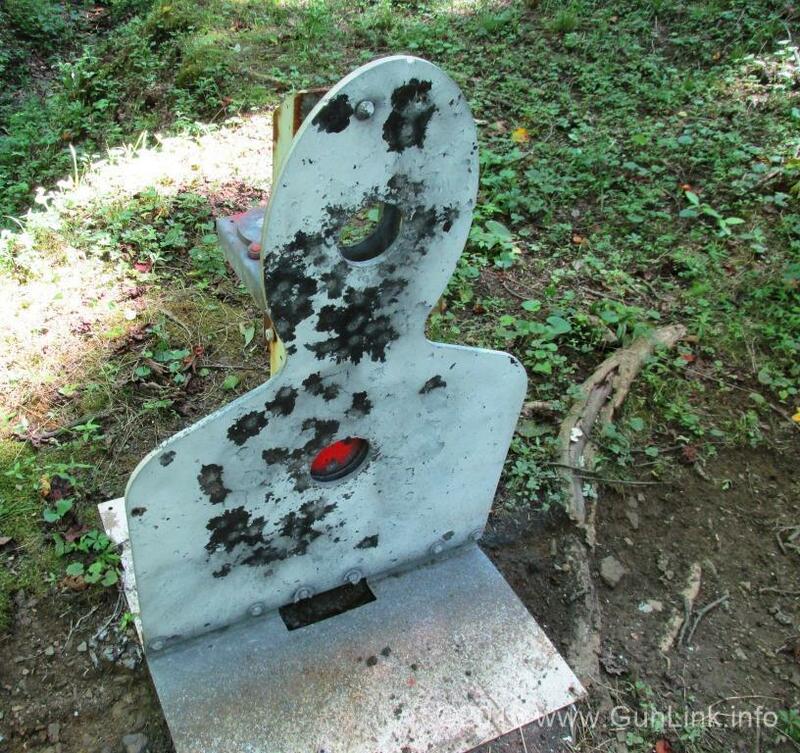 As a final comment about the targets, they are built to last. 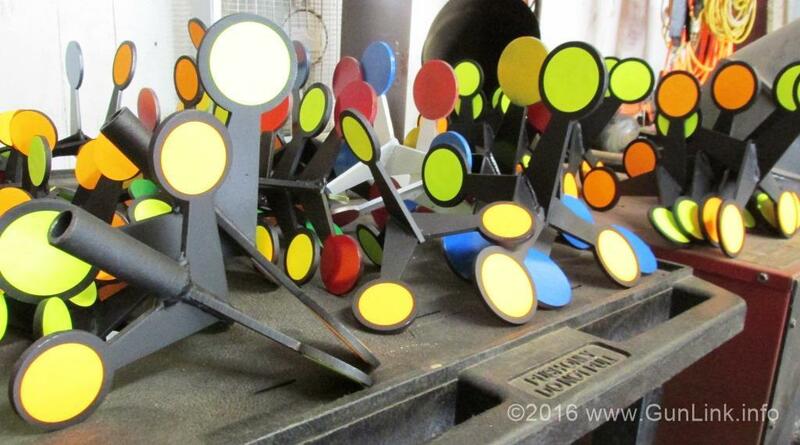 You may have noticed the bright colors on a number of the targets. 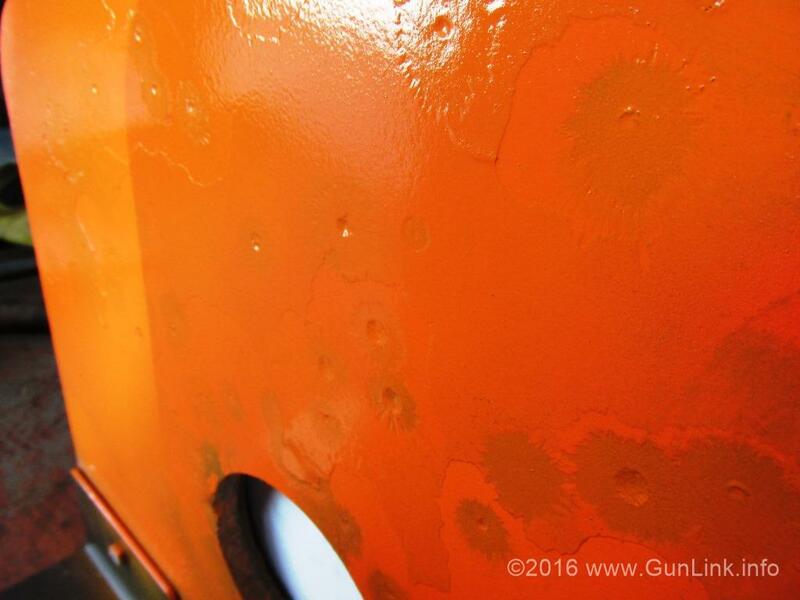 That is the same type of durable powder coating that you would find on heavy machinery like bulldozers and is part of the reason why Shot-Force targets stand up so well to not only bullet impacts, but also to the elements. 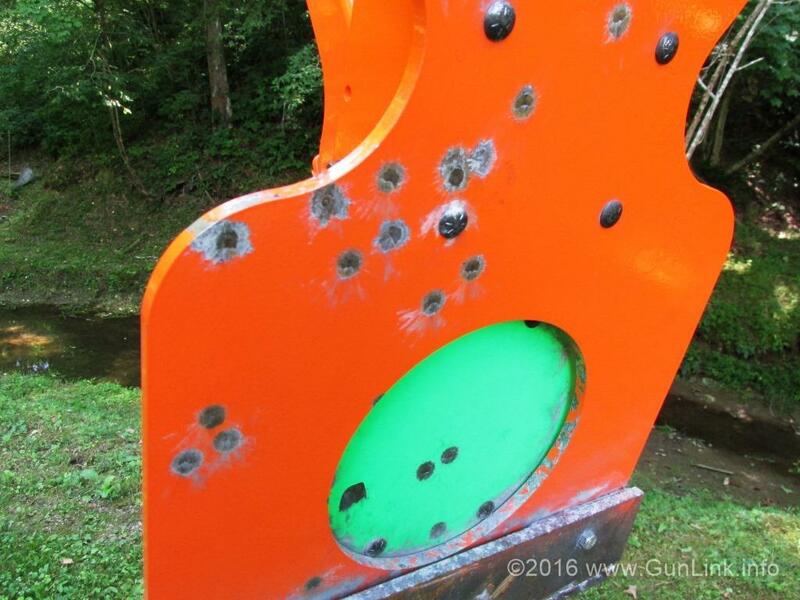 The Zip Code target that we were shooting was one of the first ones that Steve built and it hasn’t moved from its spot in the woods behind the production building since he put it there 5+ years ago and does not look any worse for wear aside from a few rusty spots and the flaking layers of spray paint from half a decade of frequent shooting and touching up. 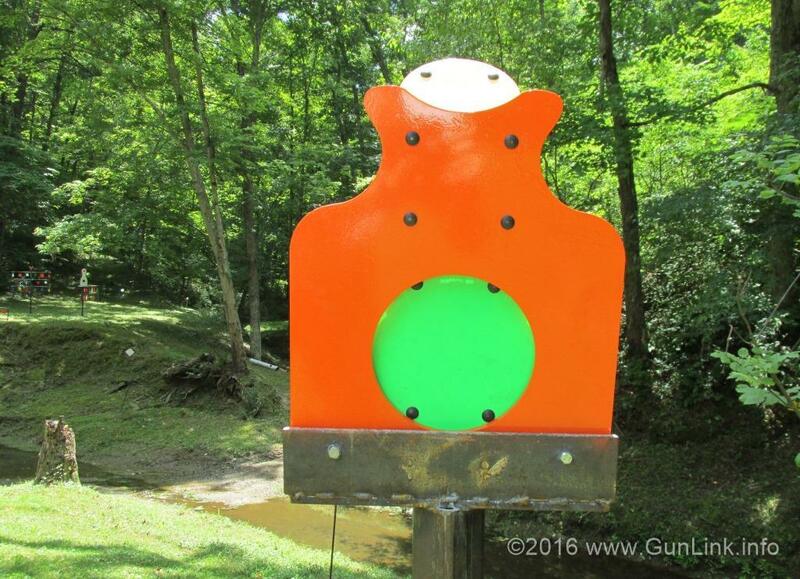 To learn more about about Shot-Force Pro targets, visit their website at shot-force.com or visit their Facebook page. If you are attending SHOT Show 2017 or next year’s NRA Annual Meetings and Exhibits, be sure to find them on the exhibit floor and stop by. Hopefully we will see some of the new targets that are currently under development. Steve is a stand-up guy and you can really tell that he has a passion for what he’s doing and takes pride in his work. It really shows through in the product and when you hear him talk about it! I’m glad we spotted the location on their badges at SHOT and stopped in – credit goes to GunLinkGirl for find. Thank you for sharing such great information. It’s a pleasure to visit here. 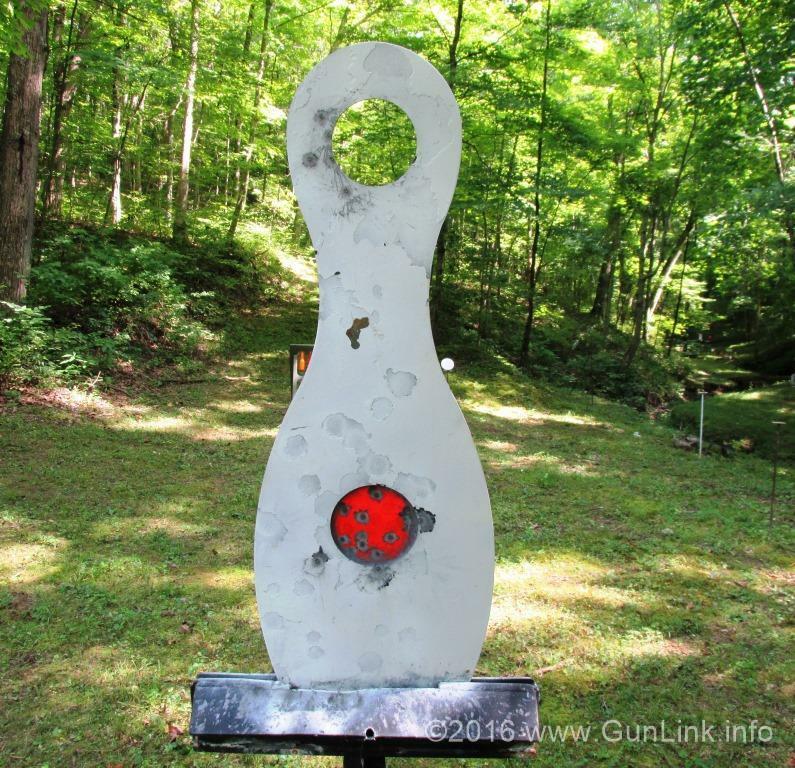 You can also visit us in ARNTZEN TARGETS.